A photo gallery shows the West's most innovative gardens, from all-edibles front yards to stylish water-wise and fire-wise gardens to living walls and green roofs-all with ideas you can use. Climate Zone Maps and growing-season graphs for all regions of the West including Alaska and Hawaii. A new "Plant Finder" section helps you choose plants for their garden's problem areas or for special effects. 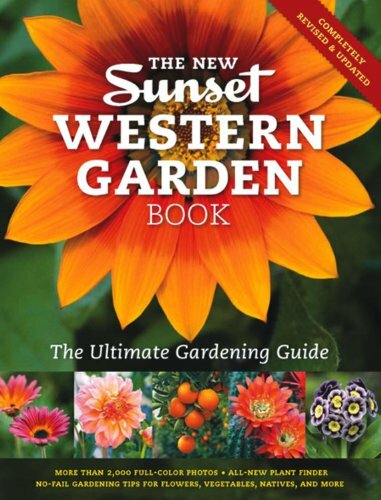 "A to Z Plant Encyclopedia" lists some 8,000 plants that thrive in the West, including more than 500 new ones. Gorgeous color photographs illustrate all plant entries-for the first time ever in The Western Garden Book. "Gardening From Start to Finish" is a new visual guide that leads readers through all steps of making a garden, from soil prep through planting, growing and care, with special sections on natives, veggies, grasses and more.